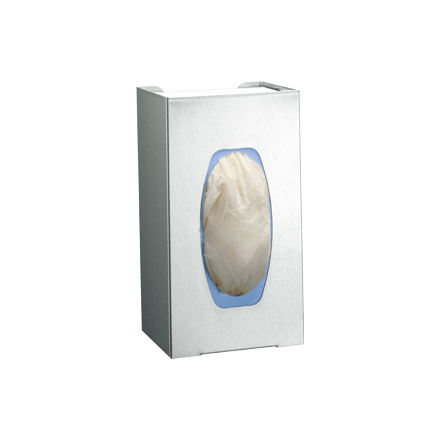 Holds and dispenses one (1) standard size surgical glove box. Type 304 stainless steel with satin finish. Dispensing opening includes a fully deburred edge for snag-free dispensing and user safety. Surgical Gloves are self-feeding until supply is depleted. Units fit most standard glove boxes sized up to 5″ W x 10″ H x 3-3/4″ D [127 x 254 x 95].